Originally from Reedsville, NC, Billie is on her fourth season at the Pigeon River. Besides having a passion for the outdoors (hiking included), she also loves live music and all things related to theatre. She attended Salem College in Winston-Salem, NC, majoring in history and special education and enjoys working as a substitute teacher in the off-season. 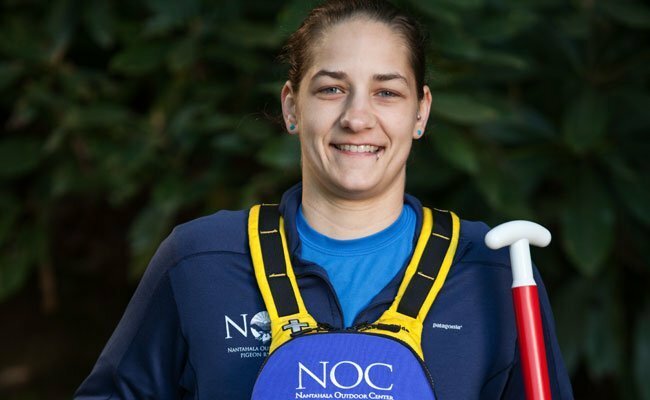 With qualifications as a River Rescue Certification-Pro and Wilderness First Responder, Billie is the perfect fit for guiding NOC's rafting guests at the Pigeon.